This red-flanked bluetail at the Clark Library is thousands of miles from its typical winter home. 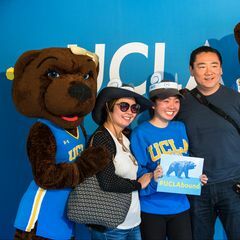 UCLA’s William Andrews Clark Memorial Library is all about rare things and visitors who want to explore. 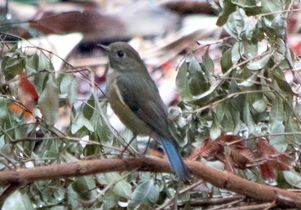 And this week that definition expanded to include a visitor that has the local birding community buzzing around the library’s historic grounds — a red-flanked bluetail has taken up residence on the West Adams property. This particular bird is an extremely rare visitor to North America, and this is the first California sighting that is “chaseable” — the only other recorded sightings in the state were in the Farallon Islands in 1981 and San Clemente Island in 2011, both locations that are off-limits to civilians. 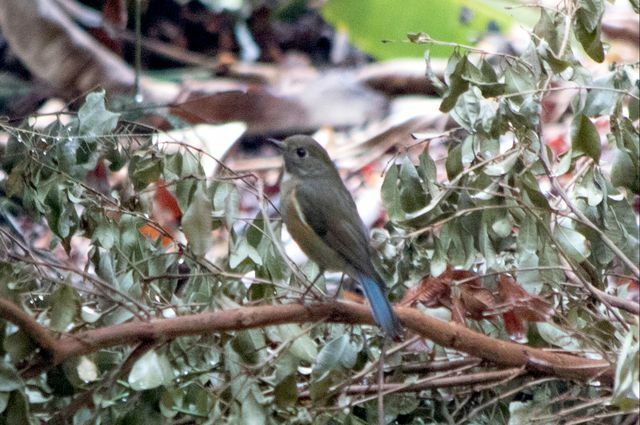 The red-flanked bluetail’s migration pattern doesn’t come near North America. There have only been a handful of recorded sightings of this kind of bird in the Pacific Northwest and Alaska. Typically, this little creature would be wintering in East Asia right now. It spends its summers in northern Europe. 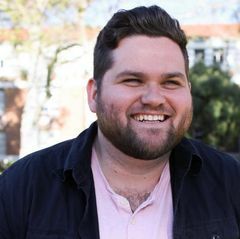 When Marschall caught sight of the bird she immediately checked in with Kimball Garrett, ornithology collections manager at the Natural History Museum of Los Angeles and a UCLA alumna, to verify she was seeing what she thought she was seeing. 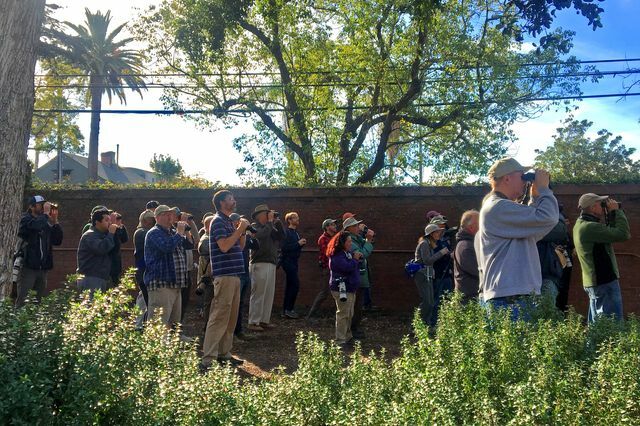 Just some of the several hundred birders hoping to catch a sight of the red-flanked bluetail at the Clark Library. 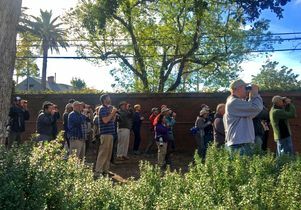 Local birders have been alighting on the Clark’s neatly manicured grounds in the city’s West Adams neighborhood, hoping to catch a glimpse of the small bluetail, which Marschall says is most reliably sighted in the morning and late afternoon until sunset. “The bird does sort of have a routine and some favorite spots, but can be hard to photograph well, since it moves around so quickly and spooks so easily,” she said. Library staff announced the bird’s arrival on Jan. 7 and the American Birding Association blogged about its presence. Since then, Marschall said several hundred bird enthusiasts have visited with cameras and binoculars hoping to catch a glimpse of the far-flung voyager. Clark staff are delighted to welcome the winged guest and the eager members of its fandom, whom they know are hoping to capture their own photos and footage before the bluetail departs the grounds of the library, which is home to UCLA’s renowned collection of rare books and manuscripts from England’s Tudor period through the 18th century, including the world’s largest repository of materials related to Oscar Wilde.